Blended Scotch whisky brand Chivas has signed a three-year deal to become the official spirits partner of Manchester United Football Club. 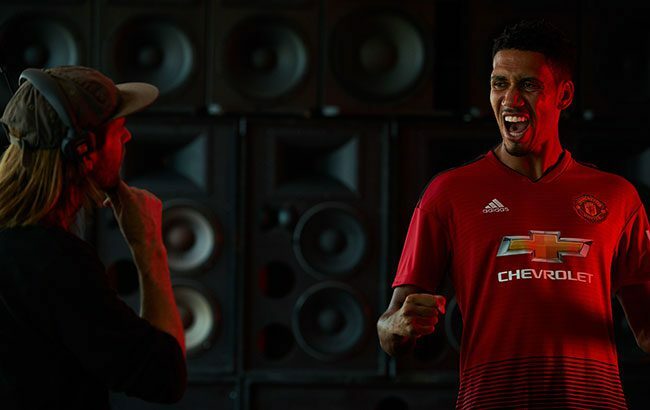 The collaboration, announced in the build-up to the team’s first home game of the season, will see Chivas and Manchester United join forces to celebrate their collective belief that ‘blended is better’. Jean-Christophe Coutures, chairman and CEO at Chivas Brothers, said: “Blending has been in our DNA ever since James and John Chivas pioneered the art in 19th century Scotland. “Partnering with Manchester United was therefore a natural fit; we both firmly believe that great things can be achieved when we come together – from balancing the perfect blend of malt and grain whiskies that go into our Scotch, to using the perfect combination of players’ skills on the pitch to create a winning team. To announce the global partnership, Chivas and Manchester United unveiled a film that explores the “unique blend of characteristics” that make up the football team. Shot in Los Angeles during the club’s pre-season tour, the film stars an array of Manchester United first team players showing what defines who they are, both on and off the pitch. “Our success both on and off the pitch allows us to bring together the best mix of people who help to make our club the global name it is today. Each individual has their own skills but the way in which they blend together is what makes us a united team. The partnership will be brought to life across all touchpoints globally from August 2018. Chivas branding will also be displayed on digital perimeter boards at Old Trafford as well as throughout the stadium from the first game, which takes place this Friday (10 August). You can watch the Chivas x Manchester United film below.